We are a personal celebrity management, booking, and upscale concierge agency representing some of the most prominent names in music, film, television, worldwide sports and entertainment. The company was established in 1995 by two Turkish/Armenian/Greek sisters Geena Jinev Anac, CEO & Talent Manager and Natasha Anac, VP & Networking Manager. 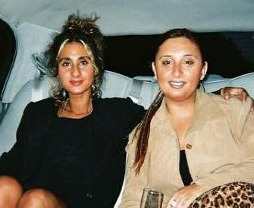 They are the daughters of the late Arto Anac, CEO of Arto Matic Interiors in Istanbul, Turkey. He initiated the first patent on the first Lazy Boy Sofa and pull up couch in Turkey. Since it's inception, these two dynamic women have successfully built and branded their agency by collaborating with numerous high profile public relations, marketing, talent/casting/sports agencies, and record labels on countless celebrity driven campaigns globally. Lightening Entertainment has one major objective - to ensure the clients they serve are provided with the best practice and standards of excellence in an ever changing business arena. Serving: New York, New Jersey, Florida, Nevada & Europe.